La Justice: This 18.27-hectare climat in Gevrey-Chambertin is itself comprised of two subclimats of approximately equal size. The downhill subclimat is rich in alluvial gravel whereas the uphill parcel has very thin topsoil. The vineyard lies to the east of the town at a hollow in the hill that has benefited over the millenia from the alluvial flow of diverse minerality. By tradition, the name of this vineyard derives from its function in years past as a place where executions by hanging and guillotine were carried out. It beggars credulity, however, to suppose that the blood of aristocrats beheaded following the French Revolution can have much enriched the terroir and its wines. 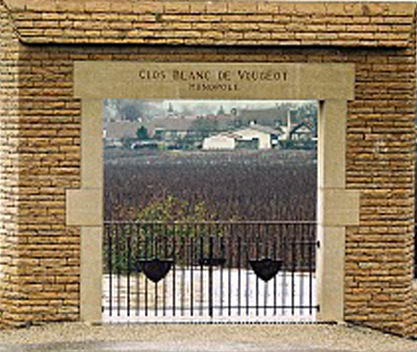 There are numerous owners of this vineyard although the most consistent source of elegant and concentrated wines comes from the Domaine de la Vougeraie. 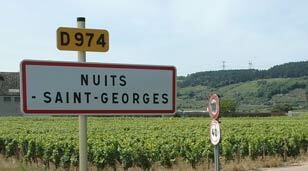 Nuits-St-Georges is a wine appellation that includes some of the finest and best-known French Burgundy wine. 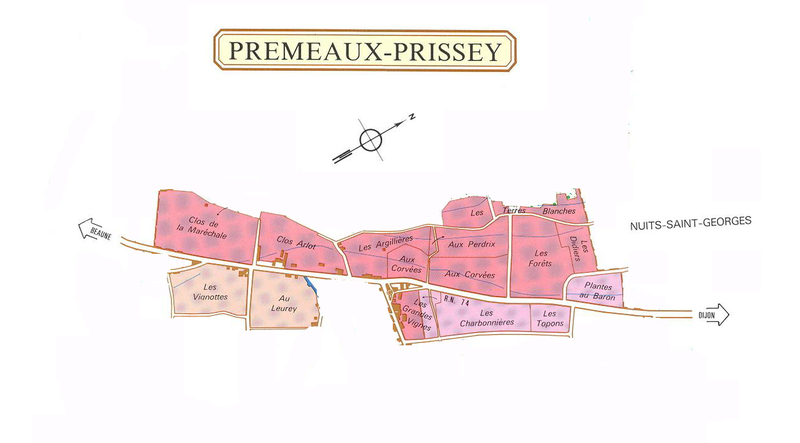 Wine so labeled must come from vines planted in the commune of Nuits-St-Georges (or the adjoining commune of Prémeaux-Prissey with which it is viticulturally joined) situated in the Côte de Nuits region of the Côte-d’Or department of Burgundy in eastern France. In From the Earth to the Moon, author Jules Verne envisioned in 1867 that the first lunar explorers would celebrate their moon landing with “a fine bottle of Nuits.” In 1971, to commemorate Verne’s sci-fi forecast, Apollo 15 astronauts named one of the moon’s craters “St. George Crater”. Completing the circle, the town council in Nuits-St-Georges rechristened the main square in the village Place de la Cratère. The vineyards of Nuits-St-Georges, celebrated by Verne and Apollo 15, have been successfully producing wine of the first rank for at least one thousand years. Leaving Beaune and heading north toward Dijon, Nuits-Saint-Georges marks the gateway of the Côte-de-Nuits, the Oz of Pinot Noir. The commune has been inhabited since antiquity and the vestiges of a substantial Gallo-Roman villa have recently been excavated. The name “Nuits” is derived from the Latin “nutium,” signaling the fine walnuts that were once prolific in the area. 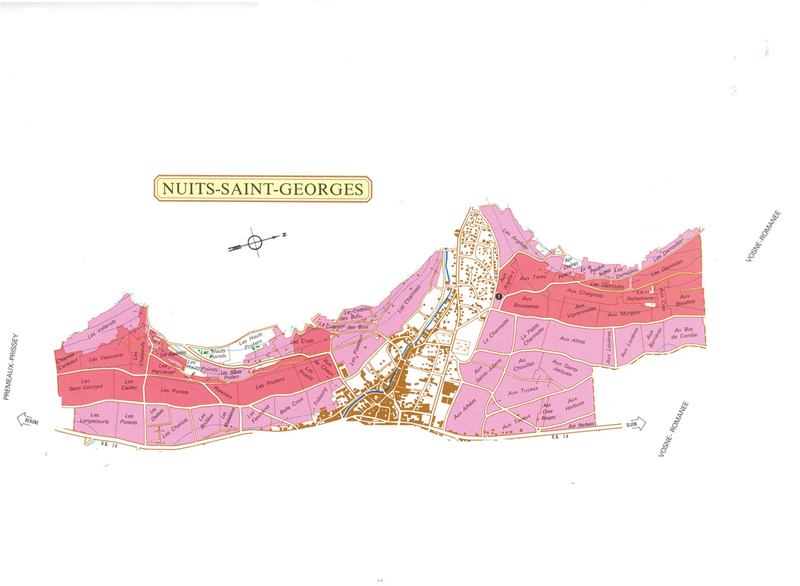 Nuits St Georges, together with Prémeaux-Prissey, comprises 322.59 hectares. While there are no Grands Crus, there are 37 Premiers Crus aggregating about 147 hectares, and about 175 hectares of village-level vineyards. The overwhelming majority of vines, some 97%, are planted in Pinot Noir, from which prized red Burgundy is made, but there are a few vines planted in Chardonnay from which a small group of domaines, notably Domaine J-F. Mugnier and Domaine de l’Arlot, produce excellent Nuits-Saint-Georges blanc. The soil types fall into three sections. The town and the vineyards are bisected by the Meuzin River, which flows east from the hills above the town. North of the river, toward Vosne, lies the first section. There, the soil is a continuation of Vosne: colluvium comprised of limestone with a small amount of clay over a Bathonian limestone base, and covered with pebbles and scree. Most prominent among these vineyards are Aux Boudots, Les Thorey and Les Damodes. To the south of the Meuzin River, toward Beaune, lies the second section. Here the soil is somewhat richer and deeper, certainly with a higher clay content, but also with sand and gravel. The base here is comprised mostly of hard Comblanchien limestone. Most prominent here is the commune’s signature vineyard, Les Saints Georges. Further south, and within Prémeaux-Prissey, is found the third section, in a higher elevation, reaching 320m. Here the soil is quite thin and fine, particularly in the Clos de l’Arlot. Further downslope can be found Clos de Forêts and Clos de la Marechale. 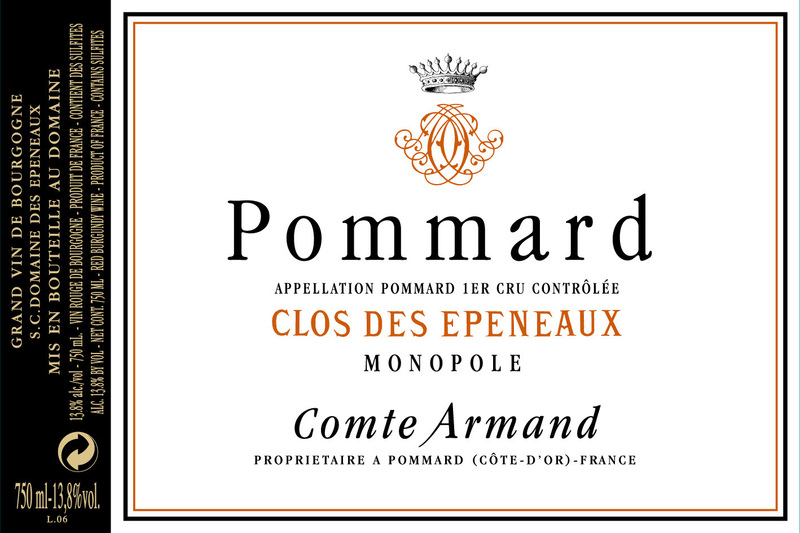 Leading producers in the appellation include Domaine de l’Arlot for its Clos de l’Arlot and Clos des Forêts, Domaine J-F. Mugnier for its Clos de la Marechale, Domaine de la Vougeraie for its Les Damodes, and Domaine Gérard Mugneret for its Les Boudots. 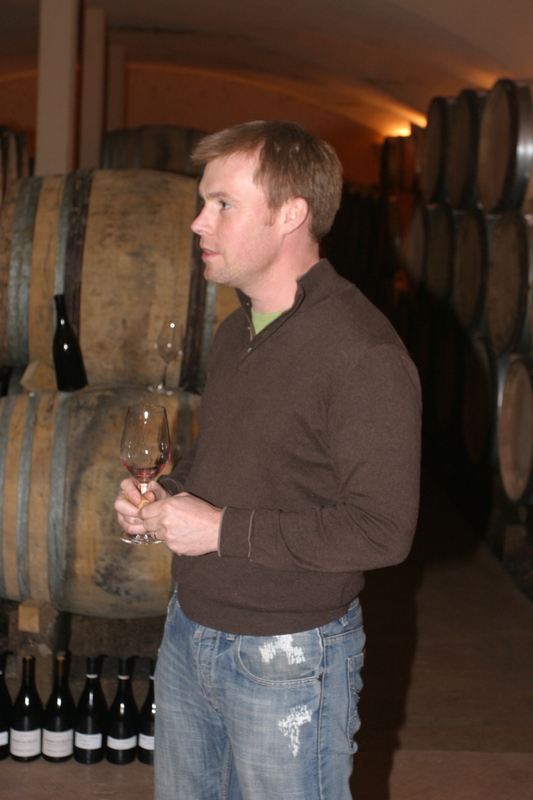 Other well-known Domaines include Domaine des Perdrix and Henri Gouges. Les Damodes: This 8.55-hectare Premier Cru climat lies in the northern part of the commune of Nuits-St-Georges, uphill and to the north of the village and along the border with Vosne-Romanée. Facing east and lying at 280-340 meters, this vineyard has a slope of 20% and runs along the top of Premiers Crus Aux Cras, Le Richemone and Aux Murgers. The topsoil is a limestone-rich mixture of clay and silt. The name derives from a triad of Druid goddesses who were believed to control harvests. One excellent source of Les Damodes is Domaine de la Vougeraie. Musigny is a Grand Cru vineyard and appellation situated in the commune of Chambolle-Musigny in the Côte de Nuits sector of Burgundy. 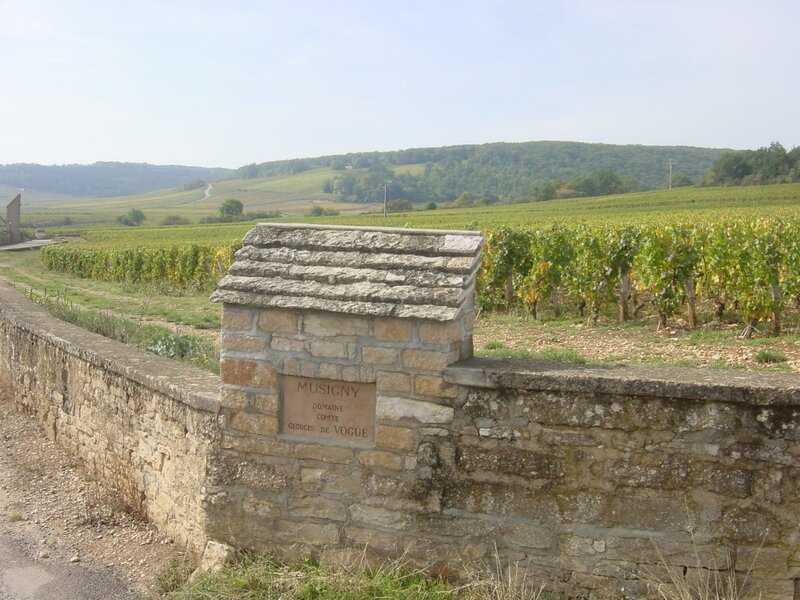 The vineyard lies to the south of the village itself, and borders the Grand Cru Clos de Vougeot in the southeast, the Grand Cru Échezeaux in the south, and the Premier Cru Les Amoureuses in the northeast. The vineyard aggregates a modest 10.86 hectares and lies on a slope ranging from an 8% to a 14% grade, with elevations between 260 meters and 280 meters. The shallow brown topsoil, which averages only 20cm-30cm in depth, is comprised of limestone pebbles and red clay over a limestone base. Similar to Les Bonnes Mares, Musigny is bifurcated by a path into a northern section, Grand Musigny, and a southern section, Les Petits Musignys, which is a monopole of the Domaine Georges de Vogüé. Grand Musigny, which faces southeast, is mostly limestone with some clay. The southern section, Les Petits Musignys, faces south and is comprised of a higher proportion of clay. Musigny produces exclusively Pinot Noir-based red Burgundy, except for a tiny parcel of Les Petits Musignys from which Vogüé produces a precious white wine from Chardonnay, the only one in the Côte de Nuits entitled to be labelled as Grand Cru. It is beyond dispute that Le Musigny is one of the greatest vineyards in the world. The name derives from a Gallo-Roman settlement, Musinus, which was itself likely named after a once important but now forgotten Roman. The climat was cultivated at least by the 8th century. Certainly, by the time that the Abbey of Cîteaux founded the Clos de Vougeot in 1110, the vineyard was already producing legendary wine. 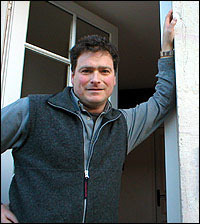 Domaine Comte Georges de Vogüé owns 7.12 hectares of Musigny, almost 65.6%, including the entirety of Les Petits Musignys. The Vogüé wines set the standard of excellence, although Domaine Jacques-Frédéric Mugnier (with 1.13 hectares) produces equally-inspired and distinctive Musigny. Equally superb examples of Musigny, each with its own hallmark, come from tiny parcels owned by Domaine de la Vougeraie (.21 hectares), Domaine Leroy (.27 hectares), and Domaine Georges Roumier (.10 hectares).